Topic: Critisism to the actual situation. Re: Critisism to the actual situation. 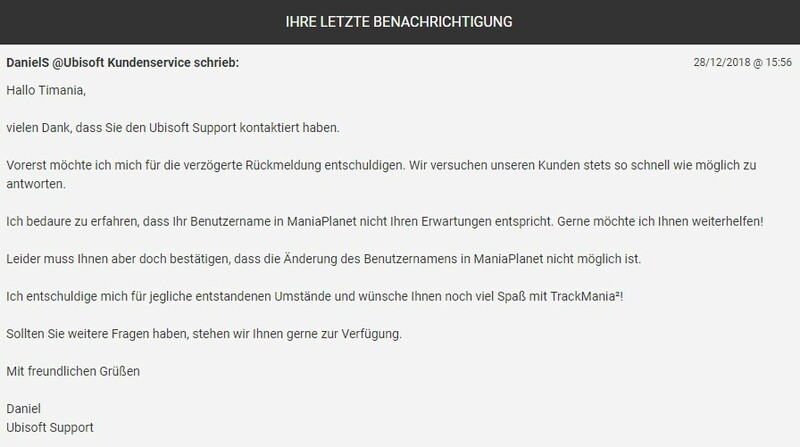 So, after a few weeks i got an answer from the Ubisoft support. They said they can’t change it. So that’s a end in this story. Thanks for the update, gonna check it out soon! Yea, i wrote an support ticket at Ubisoft. Maybe they can tell me, if its work or not. Ignore this post. See the top post to learn more. Thank you, im glad to be here!